Are you disappointed with the results from your current website? Does the design seem outdated? Is the content inaccurate or incomplete? If you answer Yes to any of these questions then it's time to consider a website makeover From BG Services AZ. 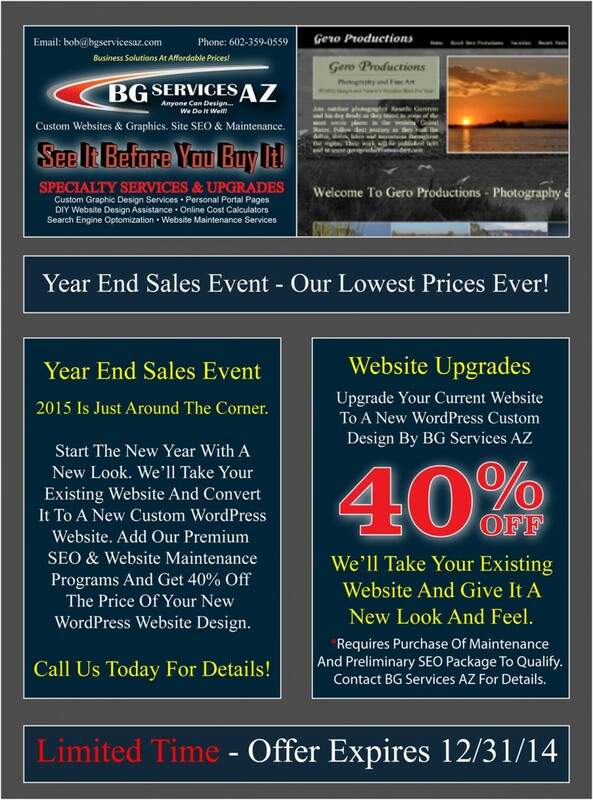 Get your new custom WordPress Website or a Generation 3 Online Cost Calculator from BG Services AZ during our Year End Sales Event and take advantage of the big discounts on our already low prices. Act Now! This offer expires December 31, 2014.